Leni Riefenstahl’s heir Gisela Jahn, once the controversial film-maker and photographer’s secretary, has donated her estate to the Prussian Cultural Heritage Foundation—a trove of photographs, films, manuscripts, letters, files and documents that date back to the 1920s. Riefenstahl’s husband Horst Kettner died in 2016, leaving Jahn as the sole heir to her estate, which had remained in Riefenstahl’s house by Lake Starnberg near Munich. Jahn wanted the estate to return to Berlin as Riefenstahl’s birthplace. The Prussian Cultural Heritage Foundation, which manages Berlin’s museums, says it will raise funding to put together a team of researchers to view and organise the donation. The photographs in the estate will be stored at the Museum of Photography near Zoo Station, where Helmut Newton’s work has been shown since 2004. In later life, Riefenstahl was close friends with Newton and some of her letters to him are already on view in the museum’s permanent exhibition. 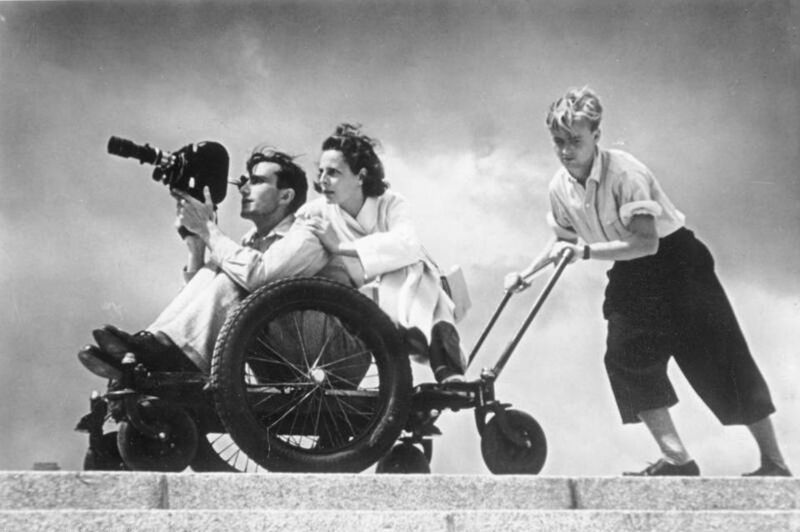 Riefenstahl died in 2003, at the age of 101. She was best known as the maker of propaganda movies for the Nazis, including the infamously imposing Triumph of the Will, a portrait of the Nuremberg rallies in 1934, and Olympia, which celebrated athletes competing in the 1936 Olympic Games. Both films were noted for their pioneering cinematographic techniques as well as their powerful pro-Nazi messages. She could never escape her past association with Hitler’s regime, and turned to photography in later life. Jahn donated the commercial rights to Riefenstahl’s work to the company La Tresor Kreativhandel managed by Holger Roost-Macias.